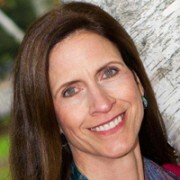 Susan is a Certified ADHD Organizer Coach who specializes in working with ADHD adults in their business, professional, and personal life, as well as college students. She has been dedicated to helping individuals unravel the mysteries of living with ADHD since her adult sons were diagnosed as young children. By discovering new perspectives, incorporating personalized strategies and gaining a deeper appreciation of their personal strengths, clients are empowered to lead a fulfilling and productive life.